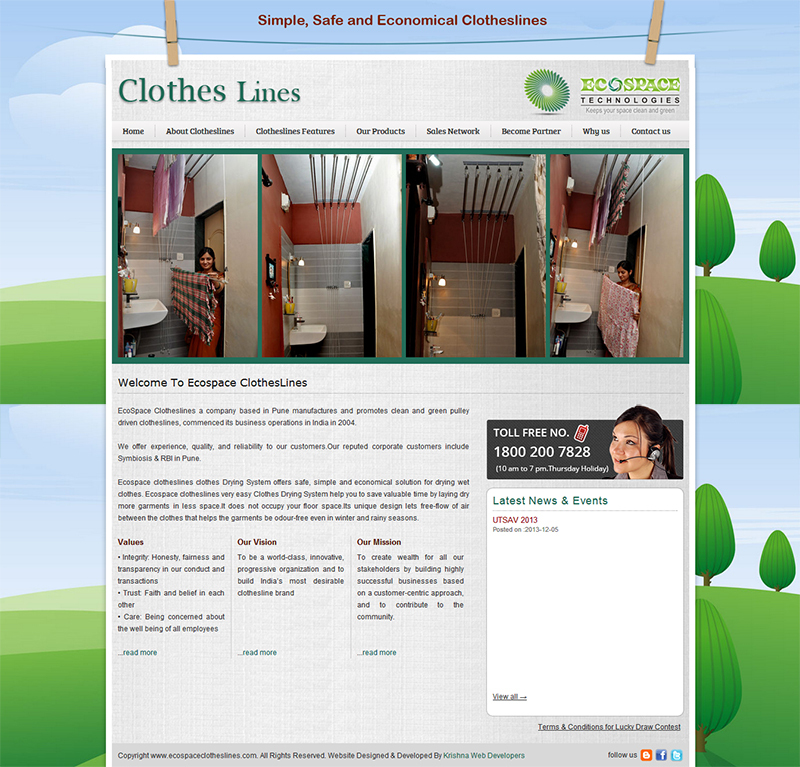 EcoSpace Clotheslines is a unique product web site. On this web site one can get all information like Product Features & Specifications, Products images, Sales Network which includes Area Name,Representative Name, Contact No. To Become Partner for this business there is all in depth information and instructions. EcoSpace Clotheslines a company based in Pune manufactures and promotes clean and green pulley driven clotheslines, commenced its business operations in India in 2004.